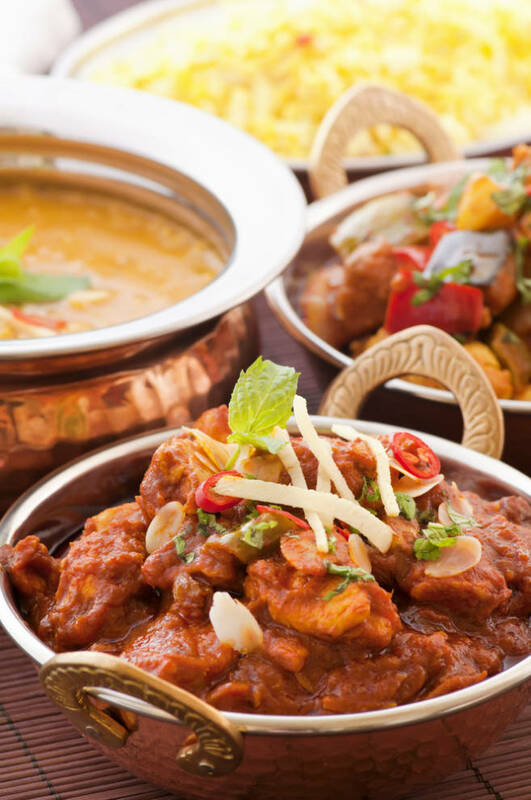 Curries are some of the best dishes you can eat not just in winter but all year round. They are lovely change from ‘regular’ chicken meals and are full of fantastic herbs and spices which are really good for you. This chicken madras curry recipe originates from south east India and can be made not only with chicken but also beef or pork. Don’t worry if you curry looks slightly different from one you may have prepared before or seen in a restaurant. The appearance of curries depends on the availability of herbs and spices. This is just one of the many reasons I like curries as you can swap ingredients depending on what you have at home at the time and they still taste great. Heat 2 tablespoons oil in a large saucepan place over medium to high heat. Add onion and cinnamon and cook, stirring frequently, for 3-5 minutes or until golden brown. Add the ginger and garlic, and cook for 1 minute. Reduce heat and add turmeric, cumin, coriander, garam masala, cayenne, curry leaves and 1 more teaspoon of oil. Cook for 5 minutes, stirring constantly with wooden spoon and scraping the bottom of the pan. Add chicken and cook for 3 minutes, stirring to coat in spice mixture. Add tomatoes and cover. Cook for a further 15 minutes, or until chicken is tender and the tomatoes have broken down and become saucy.